You know what's weird about Black Friday in 2014? We don't even wait until Friday anymore — it's more like Black Thursday Evening, with more and more retailers choosing to get a head start on holiday shopping by kicking things off a few hours early. Target opens its doors for "Black Friday" doorbusters at 6 p.m. on Thanksgiving, which as we all know is celebrated annually on the fourth Thursday in November. Wait, what? I guess there is an upside: you don't have to wake up early as fah in the morning to drive down to Target and camp out with the fellow bargain psychos for an opportunity to snag a hundred dollar flat screen. But also, doesn't that kind of defeat the whole point of Thanksgiving? C'mon, a day that's celebrated secularly and not associated with a big retail season? That's a rare gem among major holidays! It's supposed to be a relaxing day of food, family, friends, gratitude, and thanks for our blessings — the one pure holiday on the calendar. 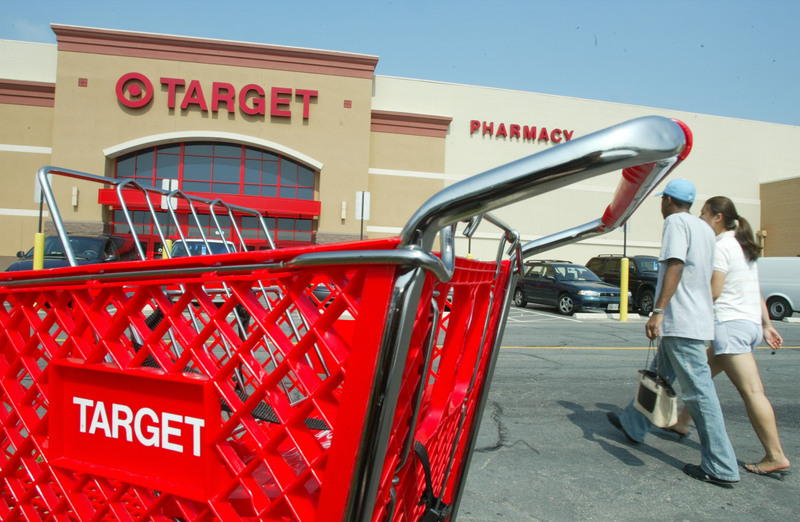 Not that Target is the only retailer looking to kickstart the holiday shopping season. This year, Kmart will open its doors at 6 a.m. Thanksgiving morning, while Kohl's, Macy's, and Sears all open at 6 p.m. So just to recap: Target opens at 6 p.m. on "Black Friday," which is really a Thursday, which also happens to be Thanksgiving. And if you're really serious about this whole "Black Friday shopping on Thanksgiving thing," make sure to check out Target's mobile app, which provides you with in-store maps pinpointing the best deals so you can make sure you navigate those crowded aisles with as much ease as possible looking for your holiday must-haves. A few other shopping tips for those looking to hit up the early sales? Make a list before you go, so you know exactly what you're looking for, and won't find your shopping bags laden with impulse purchases the next morning. And make sure to research deals ahead of time so you can budget appropriately and figure out what to prioritize. I mean, if you're going to give up precious pie eating time to hit up Target, you might as well make sure it's worth your while. Visit our Black Friday Explore page for more on shopping’s biggest day of the year.